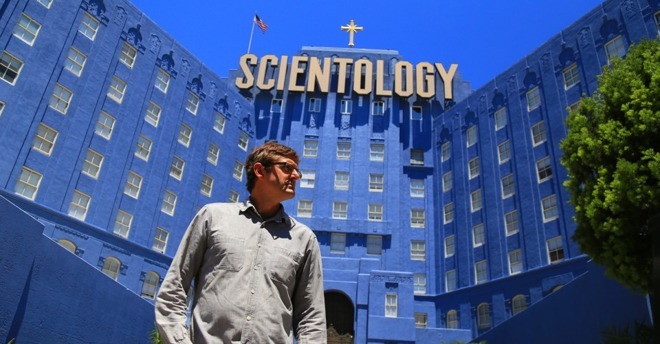 Louis Theroux in "My Scientology Movie." Oppenheimer will work in London, reporting to Apple's European creative director, Jay Hunt, Variety said on Tuesday. Hunt joined Apple just last October, coming to the company with high-profile experience at Channel 4 and BBC One. While not a household name in the U.S., Oppenheimer did receive an Emmy nomination for "One Life," a BBC Films documentary on the lifecycles of animals, narrated by Daniel Craig. Oppenheimer's production experience dates back to 2002. He has remained almost constantly active for years, some recent work including "On Chesil Beach" starring Saoirse Ronan, and "Victoria & Abdul" with Judi Dench. His IMDb page lists several ongoing projects with his name attached — among them movies that won't hit screens until 2019. Apple has its own large slate of original shows coming out that year, possibly as soon as March. Most appear aimed at an American market, such as an adaption of Isaac Asimov's "Foundation," and "Central Park," from the creator of "Bob's Burgers." Some could have broader appeal though. Recently Apple picked up "Calls," a show from France's Canal+. The company is working on an English-language co-production, but has also acquired rights to the first season of the French program.